What is a Design Build Remodeling firm? With the traditional method of remodeling, you contract first with an architect and/or designer to design your project and then later receive bids from separate remodelers who want to contract with you to build the project. One of the problems with this method is that the exquisite project you are so excited about may end up costing more to build than you can afford. Another difficultly with the traditional method is that you must manage more than one contract, and you may be caught in the middle when disputes arise between the several parties. On the other end of the spectrum is a remodeler who takes a quick look around your home and quotes an inexpensive price on the spot, without drawing up any plans. Our advice is to avoid hiring this type of remodeler. The price may seem good, but without plans for you to approve, you have no guarantee that your project will turn out the way you hoped. 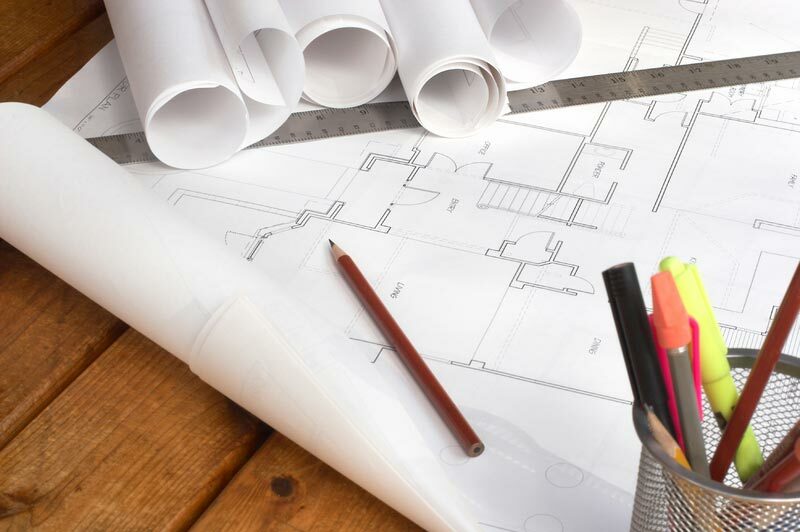 The holistic approach to remodeling that Vision Design Build Remodel uses is called the Design Build process—a process that is recognized and highly respected within the remodeling industry. Adhering to this process, our firm provides the services to design as well as build your remodeling project, so you only have one contract. Our team of professionals draws up your plans and is held accountable for the final result. It is a collaborative effort that can save you time and money through its efficiency. From the very beginning of your project, you are invited to be actively involved with our team, so the entire group can be responsive to your needs and desires. Your vision for the project, your budget needs, and your desired time frame for completion are all taken into consideration in your proposal. A thorough cost estimate during the design phase reduces the likelihood of unforeseen expenditures during the material selection and construction phases. Our team will help guide you in the material selection phase so you can freely choose the products you prefer without stressing about staying within your budget. Then the project can move seamlessly into the construction phase, since your project was placed into the construction schedule during the design phase. After constructions starts, communication with you will continue as needed, and you will be kept abreast of the progress. The goal of this holistic approach is to make your remodeling experience as enjoyable and positive as possible and to guarantee that your completed project will be of the high standard of quality and design that you envisioned at the outset. To give you confidence that we are, indeed, working together on the same page as we develop your project, we use a design software program called SoftPlan. 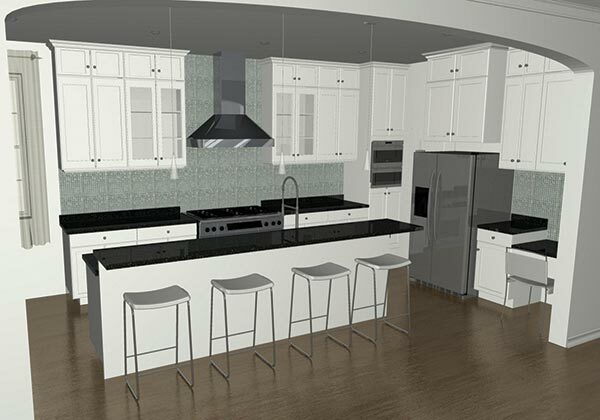 After we spend time learning your desires for your home, we create a virtual project that allows you to see your project before we begin construction. You’ll be able to analyze the proposed floor plans, as well as a realistic 3-D image that you can look at from many different directions. It’s almost like being there. 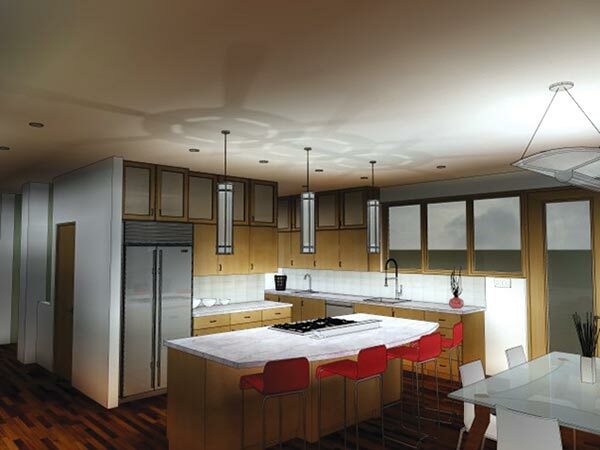 By giving you a 3-D tour of your home before we begin construction, we can work together with you to tailor your project to your unique needs. In the virtual project we can easily adjust walls, windows, cabinets, and fixtures if we didn’t get them quite right the first time. We can even make sure that your existing furniture and decor will fit nicely in the new space and give you complete details about the scope of work for each space we are discussing. In this way, we’re able to take the “what if’s” out of our renovation and construction projects so we can provide you fixed pricing for our services. SoftPlan home design software is the best way we can produce a comprehensive house plan including 2-D drawings, elevations, cross sections, 3-D renderings, walk-through animations, material lists, cost estimates, and much more. It allows us to give you, our clients, the optimum personal service. Give us a call at (828) 292-0615 or complete the Get Started form. Privacy | © 2019 by Vision Design Build Remodel. All Rights Reserved.